JetStream started a new contract with Frontier Airlines at Charlotte Douglas International Airport. The startup date was originally February 12th, but because of the terrible weather and snow, the first flight was not until February 13th. Our team pushed through the craziness and cold to make for a successful startup. Thank you team for all of your hard work, patience and dedication! Working the first Frontier flight. Nearly all 138 seats were sold with around 115 passengers checked in. Carl Mosley, Manager (left) and Tony Melton (right) ready to park the taxiing aircraft at Gate A6. Frontier’s first arrival requires that the aircraft stops short of the stop mark and gets towed the rest of the way in on the lead-in line. Chocking the nose gear tires and getting ready to download the Trenton flight. The first pushback: safe and on-time. Sam Collins recently joined our JetStream team at our Indianapolis station. 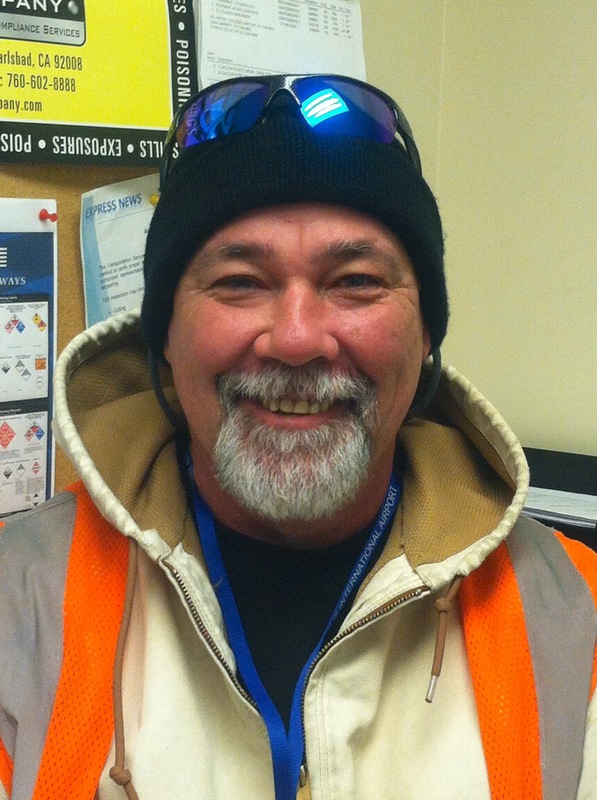 Sam has over 13 years experience in Ramp Operations, having worked for Federal Express and Evergreen Aviation. He also has a background in Regulatory Compliance including EPA, FAA, OSHA and DOT as well as large scale terminal and warehouse operations management. Sam is the proud father of three boys, Jared, Samuel and Bryan. When he is not working, he enjoys fishing, attending service at Outlook Christian Church, and anything to do with the Colts (he even named his dog Peyton). Please join us in welcoming Sam to the JetStream team!